McGrath Quarries are one of the top suppliers of Certified Grolime in the West of Ireland. We supply our Grolime on a Delivery only Basis or Delivery and Spread Capacity. Our Grolime is tested by the Dept. Of Agriculture who in turn provide us with a license to sell the product. 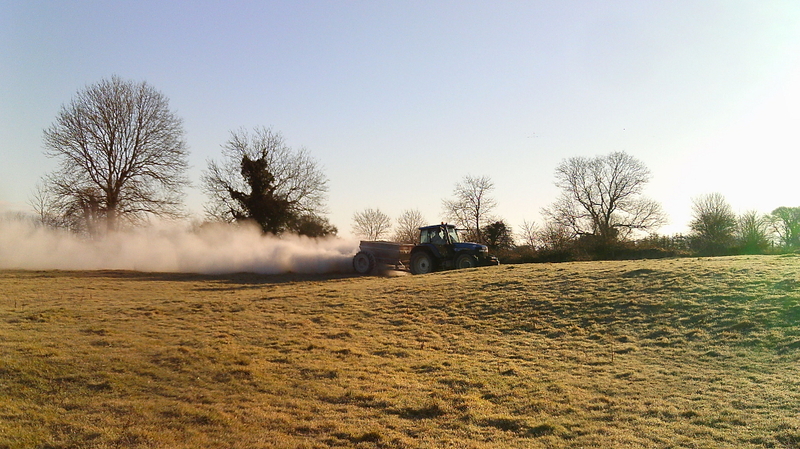 Grolime is vital for good grassland. It boosts the performance of slurry and chemical fertilizers while also correcting soil acidity. Grolime can be used at any time of the year and is safe to apply. It is non-toxic, non-hazardous and is also suitable for organic growing. Grolime is produced when quarried Limestone is crushed to a fine consistency. 1. Grolime corrects soil acidity. 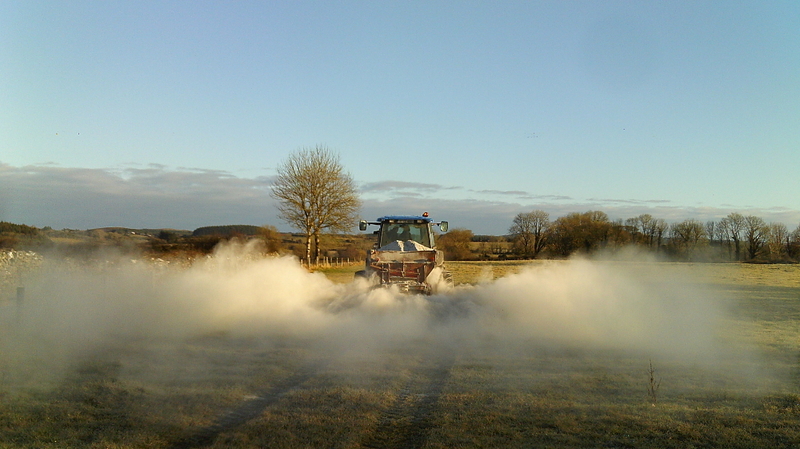 Since a large proportion of Irish soils are naturally acidic, planned lime application is essential for optimum growing conditions. 2. Grolime supplies calcium, and in some cases magnesium, important for healthy bone development in livestock for the production of milk, and helping to reduce the incidence of grass tetany. 3. Grolime, by regulating soil pH, improves the availability of other plant nutrients and important trace elements. 4. Grolime improves the quality of grass swards, raising soil pH, so good grasses such as ryegrass and clover can thrive. 5. Grolime, applied to acid soils, breaks down organic matter, releasing nitrogen to plants and assisting soil crumb formation. 6. Grolime is vital for top yields of cereal and beet, since pH levels for these crops are especially critical. 7. Grolime requirements can be pin pointed by fast and accurate tests for maximum benefit and efficiency. 8. Grolime is a natural, non-polluting soil conditioner, produced in Ireland to strict specifications which guarantee a consistent high quality product.